Jennifer Aniston turns to Kabbalah? 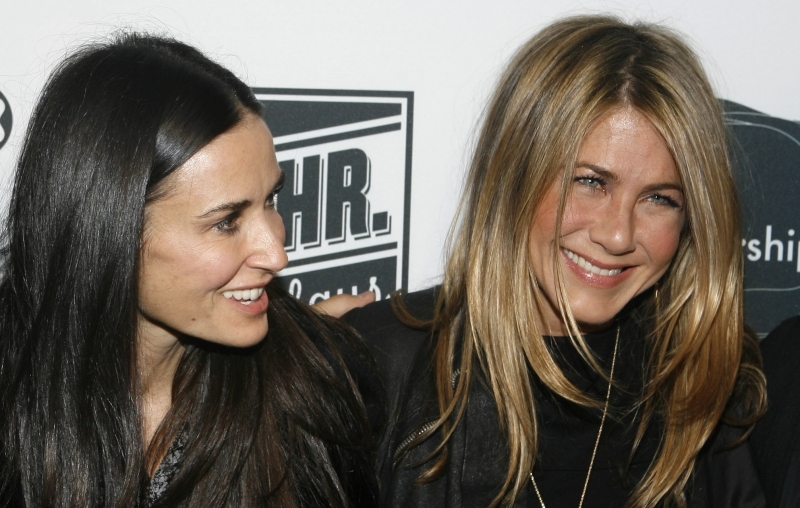 Jennifer Aniston could be the next Hollywood star to convert to Kabbalah, after striking up a friendship with devotee Demi Moore. The former Friends actress turned to Buddhism following her difficult split from Brad Pitt – but nowit seems she is considering making the switch to the fashionable faith, which is based on ancient Jewish mysticism. ‘Jen and Demi first met a few years ago through a lifestyle guru in Hollywood, but they bumped into each other at a party last month,’ says a source. Jennifer (40) was also overheard discussing Kabbalah with convert Gwyneth Paltrow. ‘Gwyneth was talking about Kabbalah and told Jen she should come to a meeting,’ the source added. Aghhh... please don´t do it Jen!!! Ashton Kutcher and Demi Moore Enjoy Threesomes!